John Pollock is joined by Davie Portman from upNXT as Wai Ting is on a well-deserved vacation. It’s the final episode of Raw before Money in the Bank with a pair of fatal four-way matches involving the male and female participants in the Money in the Bank Ladder Matches. Nia Jax and Ronda Rousey go face-to-face and then arm-to-arm to build up their match for Sunday. 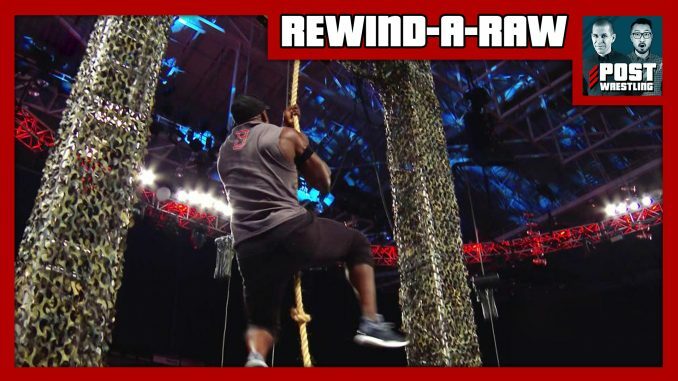 It wouldn’t be Raw without a strange segment involving Bobby Lashley and Sami Zayn – we present to you, an Obstacle Course! Plus, Pollock & Davie share their thoughts on Dominion from this past Saturday and the Kazuchika Okada vs. Kenny Omega story and they take your feedback & questions. Plus, your Café feedback to WWE Raw from the POST Wrestling Forum.